October is a big gifting month for me. I have at least 10 birthdays this month which means that the happy gift making starts October 1st and doesn’t really end until after the new year. This gift is for a special friend. You may know her, Michelle Allen of Close2myArt. I met her at artfest a couple of years back and we’ve been friends ever since. This gift started as a “thank you” for letting me visit you in Portland gift and then (5 months later) morphed into a thank you/happy birthday gift. 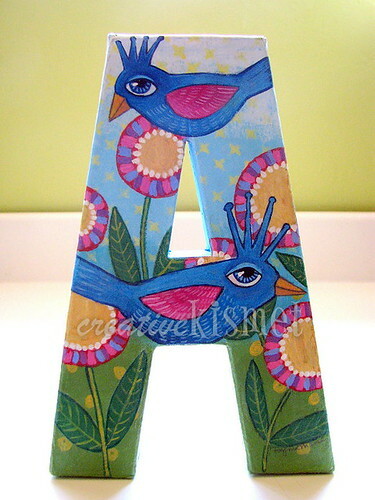 I knew the minute I saw her awesome “A” collection (A is for Allen), that I would be making one for her to add to the wall. 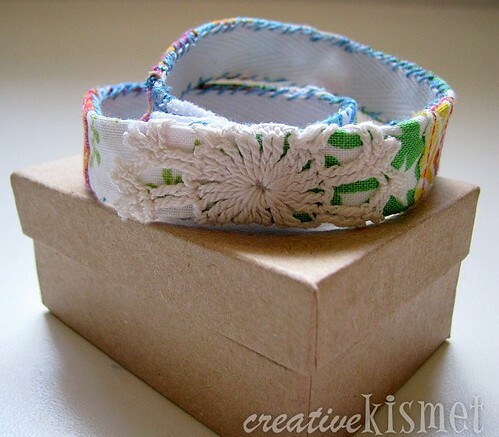 And the bracelet, well that was a fun idea that has been swirling in my head for a while and I knew she would like it too. So, happy birthday to you Michelle. One of the most amazing and inspiring artists I know! This entry was posted in Art, jewelry. Bookmark the permalink. Wow .. nice gifts. Really all so much beautiful. I like these very much. these are wonderful and so fitting for Michelle! I can see her loving both of them. She deserves beautiful things for her special day!